Only weeks after our daughter was born I was sitting in the rocking chair with tears rolling down my face wondering why I’m not a good mom. How come I cannot handle one baby and one toddler when other moms have four, five or twelve? I love my children but I’m just not that “perfect” mom that you see on those blogs, in those books, or in the grocery store. I realized that I must not have the “gift of motherhood.” I love our daughters more than anything but at times I am overwhelmed with feelings of inadequacy. Over the past few months the Lord has been revealing to me how I am adequate. He has been slowly confirming me into the strengths that I do have as a mother. And as I am coming to find out, those are priceless strengths that He looks upon as beautiful. I may not be the most organized mom. I may not win “pinterest of the year” award. And I may not do everything correctly and consistently, but I do know how to do one thing. I know how to radically love our Lord. And as I come to find out, that is priceless! Yesterday I awarded myself as “mommy of the day” because the girls and I (my almost 3 year old and 3 month old) went on a field trip. We went to a local farm to pick boysenberries! What an adventure! However, as much fun as that was, that wasn’t what our three year old got excited about last night. My heart welled up with tears. She knew the word “disciples”. She knew who they were. They were Jesus’ friends and she knew that. In that moment, I received total confirmation from the Lord that I may not do everything right and excellent as a mother, but the one thing I do know how to do is love the Lord. And if I can do one thing right as a mother I will teach our daughters to love the Lord; to worship Him, to study His word and to live in His unending freedom. The reason our daughter knew the word “disciples” was because the other day we studied the Bible together. I studied with her what the Lord had me study in my time with Him. I printed out a coloring page of Mary, Martha and Jesus. Then we opened up her Bible, wrote in the day’s date, and talked about the story. We thanked God for the story. It was quick but apparently very powerful. 1) Talk about Jesus. Don’t just talk about Him after church on Sundays. Talk about Him as much as you would a cousin, an aunt or uncle, or grandma or grandpa. He is part of your family so be sure you talk about Him that way. 2) Let your children watch you (or catch you) spending time with God. Don’t be so private and secret in your relationship with God that they don’t even know you have one. Expose them to you reading your Bible, fasting, praying, worshipping Him. They are watching you. 4) Use “kingdom” language. Your children’s vocabulary will come from you. When I used to teach school, I knew what parents was being spoken in the home. How? Because of what came out of the students’ mouths. Use the words that you read about in Scripture: names of people, God, Jesus, Holy Spirit, faith, love, disciples, etc. I’d rather have our daughters know more about God and His love than they know how to count to 20 by the age of three or make it into honor’s classes in high school. 5) Be sure Jesus is in your conversations with others. This doesn’t mean that you have to evangelize everywhere you go. But when you are talking to other people (e.g. strangers, friends, family members, etc. ), be sure that you weave God and His goodness into the conversation. It doesn’t have to be showy but rather subtle. 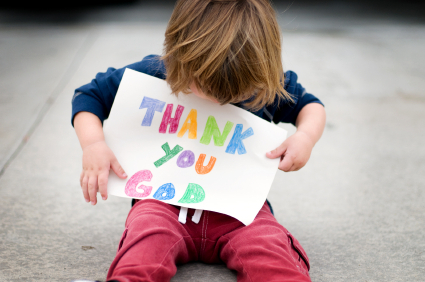 Let your children hear you giving God glory for everything. Use words like faith, blessings, God, Jesus, thank the Father, etc. If you aren’t doing this then your children won’t either. If you teach them that God is number one in the home but He never comes up in conversations with other people, it becomes puzzling to their little ears and eventually their little hearts. We don’t have to be perfect Moms. But we do know how to point to the One who is perfect–our Lord and Savior Jesus Christ. Let’s make it our ambition to make His name great in our hearts and in our homes, and truly being an excellent mom.